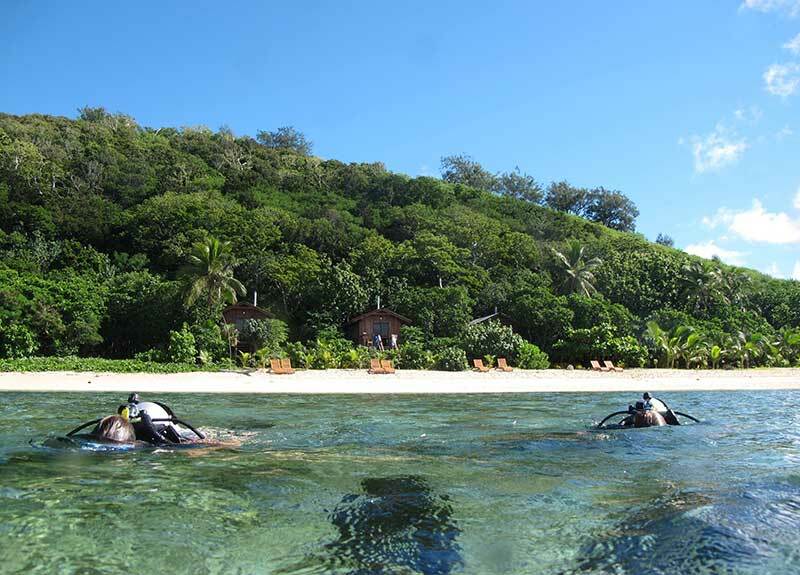 Mantaray Island Resort offers a range of learn to dive courses perfectly suited to make the most of our pristine Fiji scuba diving locations. Any ‘pool sessions’ needing to be completed as part of a dive certification are completed in the shallow water immediately off our beach. 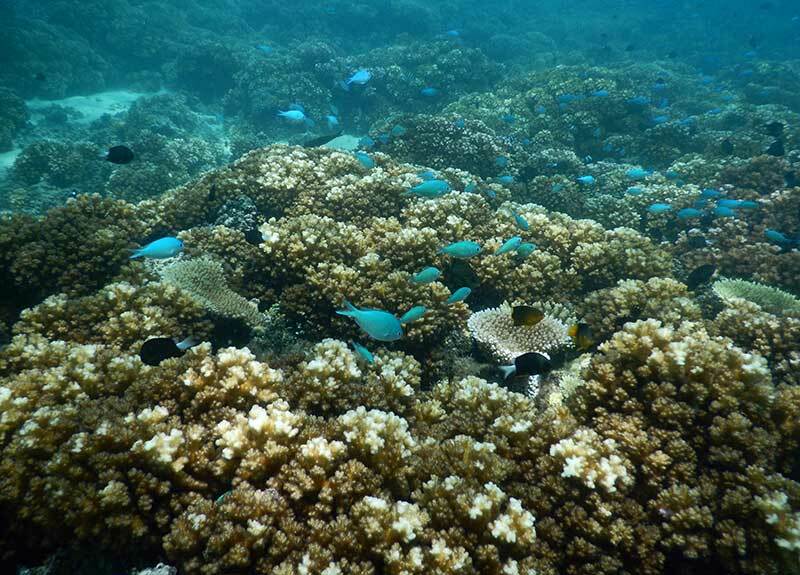 You’ll see amazing coral and fish life from day one. Introductory dives are ideal for you if you want to experience our amazing underwater environment but don’t hold a valid dive certification. Divers are given a brief by our fully qualified dive master or dive instructor before being shown how to use their equipment in shallows off the beach. 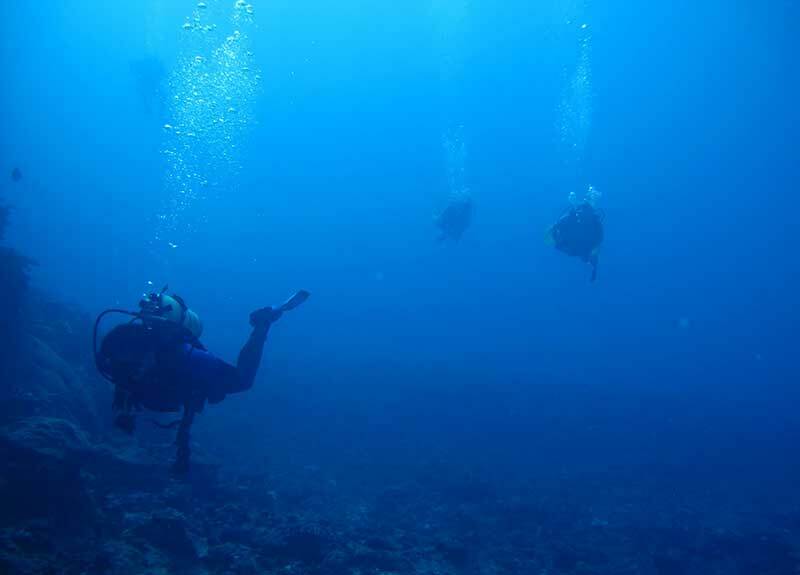 Divers are then guided to many of the reefs highlights under the watchful eye of their dive instructor / dive master. 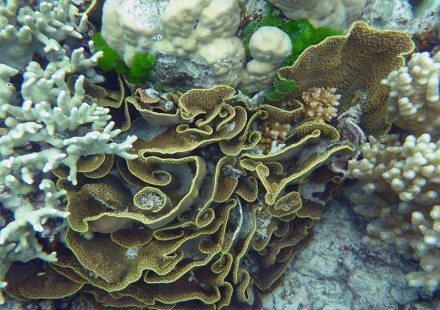 Open water courses take 3-4 days also includes classroom lessons to cover off the theory component and the course is taught in the ocean around our world famous house reef right in front of the resort so no need for boring swimming pools. 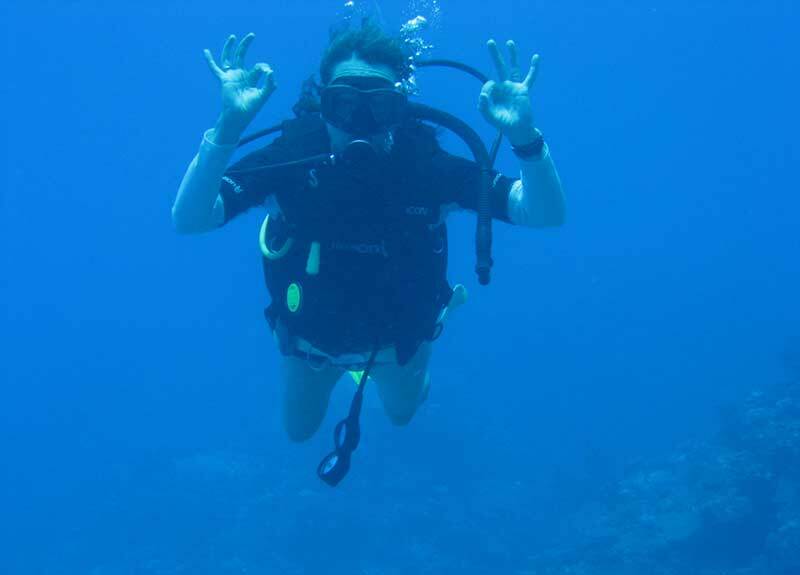 An open water course normally consists of 4 dives in the ocean however we will give you 6! Divers who complete the course will be awarded and SSI (Scuba Schools International) open water dive certificate and photo ID which will enable you to dive anywhere around the world. 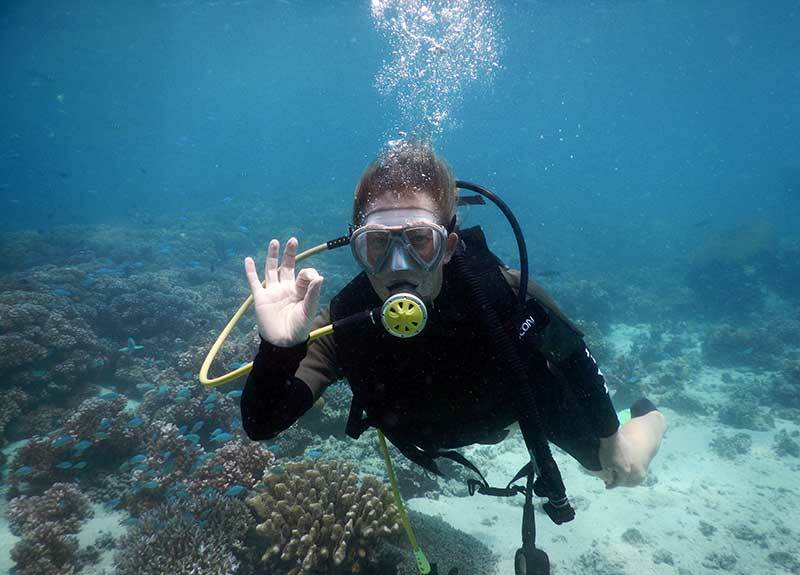 You should not undertake diving without medical clearance if you have previously suffered from asthma or epilepsy. We will teach you everything you need to know to be a comfortable and confident diver in the water and how to look after yourself and others too. We will visit a wide range of dive sites in the duration of the course giving you knowledge of different marine environments. 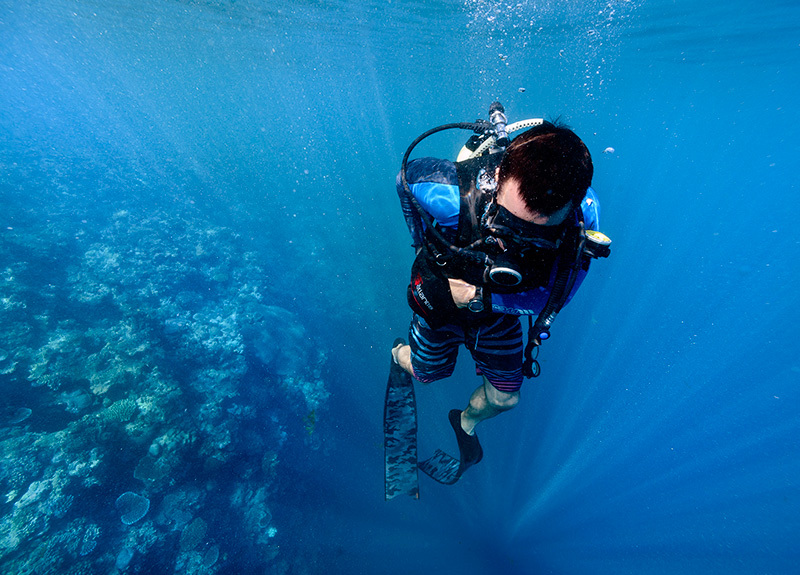 Start your world of discovery today and become a Certified Diver. 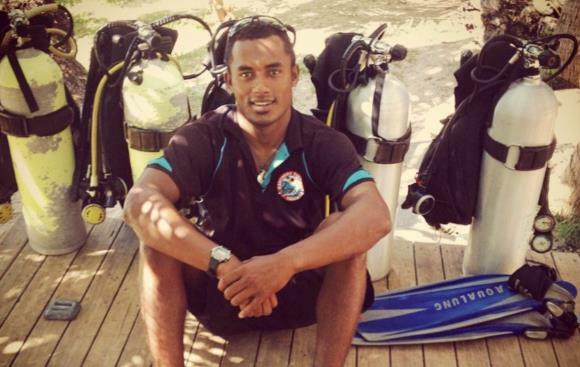 Advanced Adventurer courses are for divers already holding their open water certification with any recognised agency. The course includes 5 specialty dives and theory work. The SSI Advanced Adventurer Course specialty areas including deep dives, night dives, search and recovery, underwater navigation, caverns and digital underwater photography just to name a few. This course can be completed in 2 days and is a great way to expand your experience and gain more knowledge of a wider range of dive sites. The perfect way to take your diving to the next level whether you are sat at 30m below the surface playing some games, exploring the spectacular light show inside the famous caves of Babylon or plunging into the underwater world at night and seeing what happens when the reef goes to sleep and the predators come out to play. 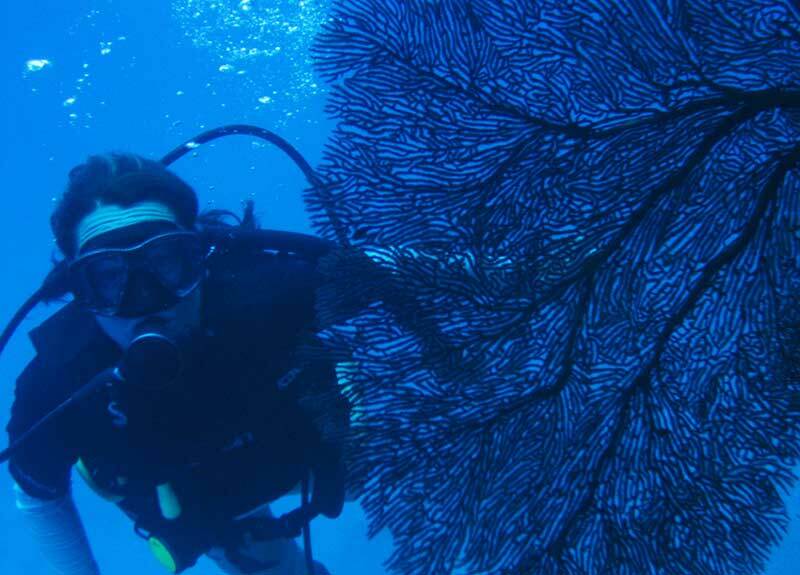 See Manta Dives current dive specials. The SSI Stress and Rescue Course takes you to the next level. You will start to recognize the signs of stress and learn how deal with this. 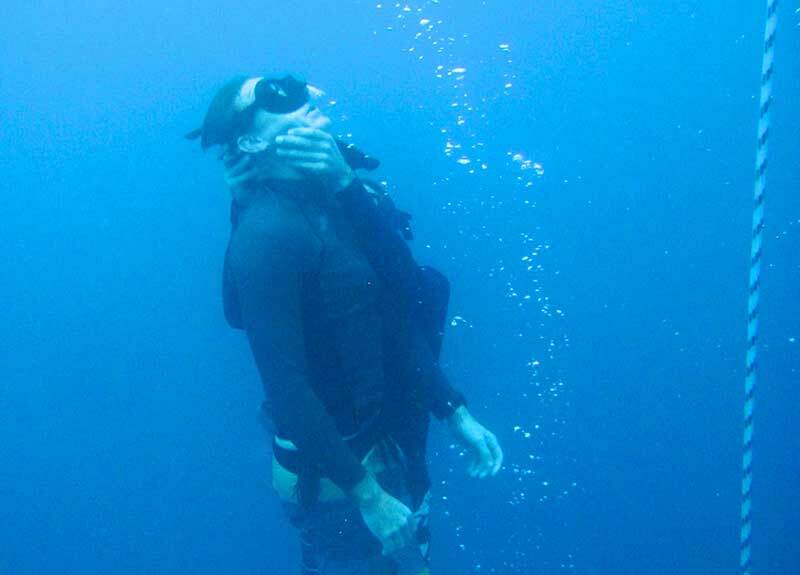 The course will teach you how to deal with panicked snorkelers and divers and recover unconscious divers from the bottom as well as recognize the signs of stress in divers before problems occur. You will need to complete or hold a valid oxygen and first aid qualification in order to be certified as a rescue diver. There’s no better feeling than knowing if problems occur you are equipped with the knowledge and skills to help. 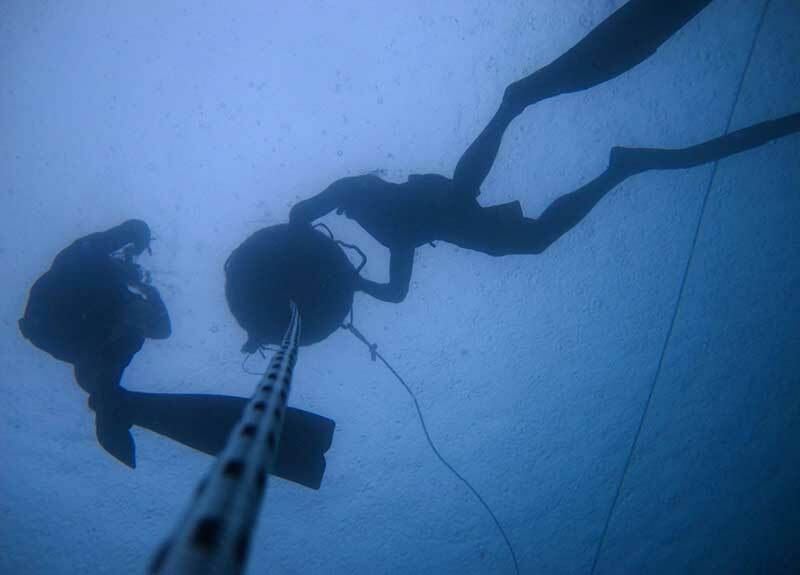 These courses are available on request and are will you beyond diving as a hobby and turning it into a career. 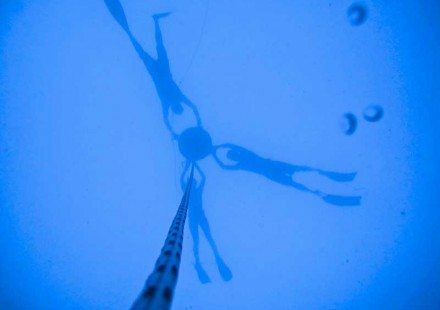 These dive leader certifications enable you to work in the dive industry as a professional diver, opening you up into a new world. Make the ocean your office. If you’re already a certified diver, make sure you bring along your dive license because we’d love to show off our truly brilliant selection of dive sites in the waters around Mantaray Island Resort. 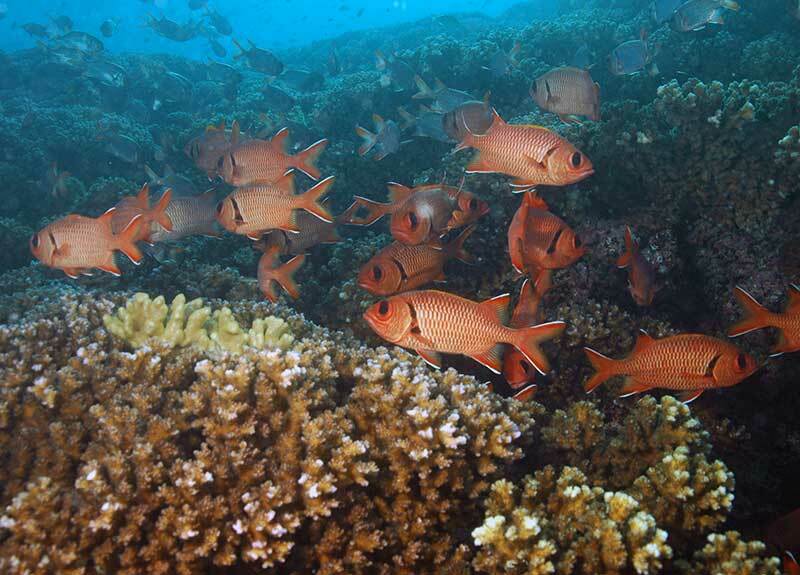 The reef comes to life at night time. You can expect to see decorator crabs, sea spiders and phosperance on your night dive at Mantaray Island Resort. 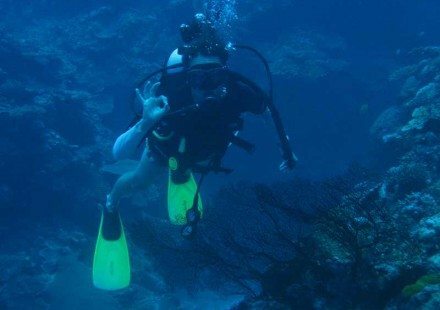 Let our dive crew guide you and point out some of the many creatures that come out to play at night. Torches are provided by Manta Dive for all night dives. Be one of the first to dive our newly sunken wreck dives (yes, there are two of them), then come back next year to see the changes as the growth and marine life make our wrecks their new home. 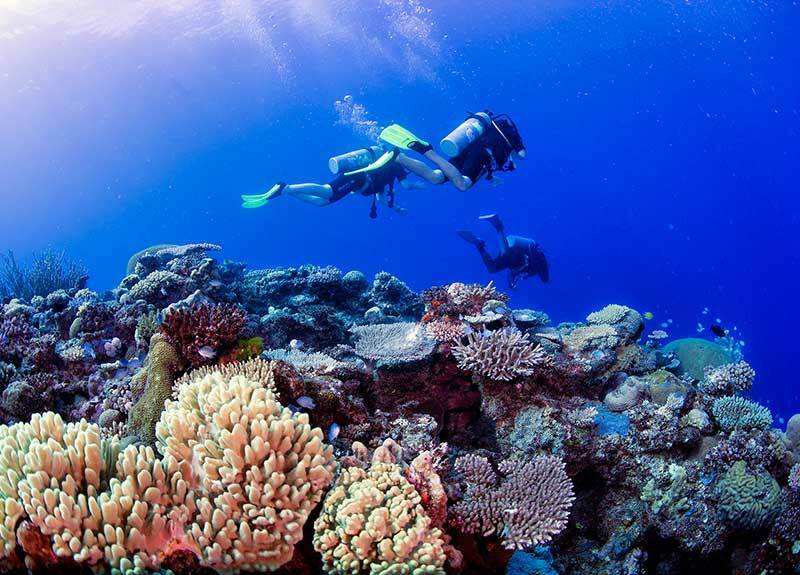 All divers require valid travel insurance which includes scuba diving in the policy. 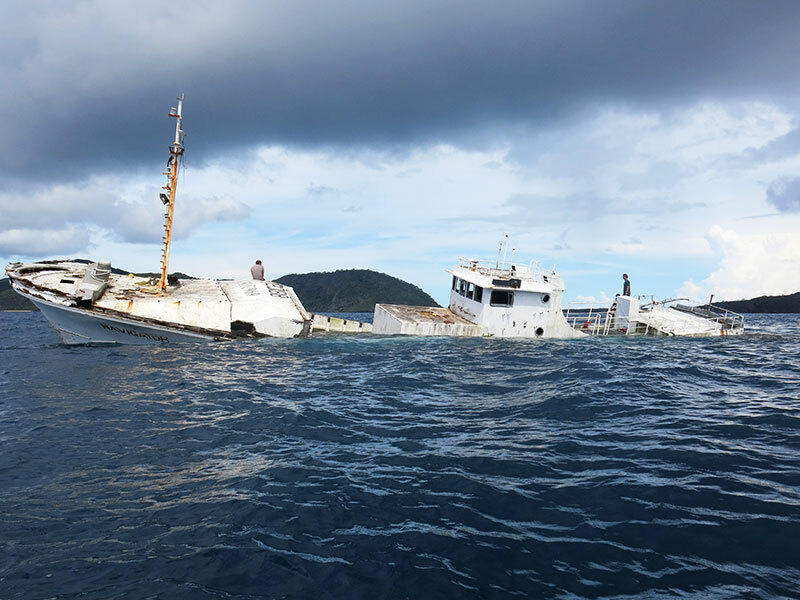 Please bring evidence of your insurance as the Manta Dive staff will check it upon the booking of diving or courses.